Recode/Magic LeapFormer NBA star Shaquille O’Neal wears Magic Leap One, so far the only public demonstration of a person wearing the company’s smartglasses. Augmented-reality startup Magic Leap announced Wednesday that it had raised $US461 million from investors led by Saudi Arabia’s sovereign investment arm. Magic Leap has now raised over $US2.3 billion to make its smartglasses. It has yet to release a product, but it says it will release its smartglasses, Magic Leap One, this year. Closely watched Florida startup Magic Leap, which makes augmented-reality technology, announced on Wednesday that it had raised an additional $US461 million in funding, led by Saudi Arabia’s sovereign investment arm, which contributed $US400 million. Magic Leap said it was part of the company’s Series D round of fundraising. Combined with an earlier announcement of a $US502 million round led by Singapore’s Temasek, the company’s Series D now totals $US963 million. Business Insider’s parent company, Axel Springer, is an investor in Magic Leap through its subsidiary Axel Springer Digital Ventures, and said it acquired a stake in Magic Leap last month. Magic Leap has now raised over $US2.3 billion dollars to date to develop its smartglasses, called Magic Leap One. It said in December that it will release an early version for creators this year. A Magic Leap representative declined to comment on what the valuation the investment was made at or whether any of the new investors would be joining the company’s board of directors. Bloomberg previously reported that the previous investment in the Series D valued the company at about $US6 billion. Asa Mathat for Vox MediaMagic Leap CEO Rony Abovitz. What is Magic Leap using the money for? 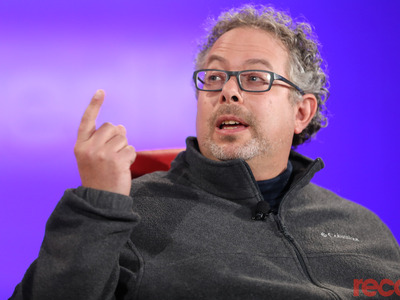 Business Insider reported that Magic Leap is spending over $US50 million monthly, according to a person familiar with the matter, and there are several allegations of employees funelling contracts to people they have personal relationships with, including one episode where a hiring manager allegedly facilitated over $US1 million in false invoices to a recruiting agency. Magic Leap is also trying to build the “full stack” – not just its smartglasses hardware but also the software and content that runs on it. That takes a lot of money. The company has 1,400 employees with offices in Florida, Los Angeles, Sunnyvale, Seattle, Austin, Dallas, Zurich, New Zealand, and Israel. Magic Leap’s total of $US2.3 billion raised since 2011 makes it the most well-funded startup in the AR space. The next most richly funded AR startup is Pokémon Go parent Niantic, which has raised $US233 million, according to PitchBook data. Plantation, Florida – March 7, 2018 – Magic Leap, Inc. (“Magic Leap”) announced today that it has raised an additional $US461 million in Series D equity funding with $US400 million contributed by The Public Investment Fund (PIF), the Kingdom of Saudi Arabia’s sovereign investment arm, and the balance from selected new investors. This second closing brings the total Series D funding to $US963 million. “The Magic Leap team and I are happy to welcome The Public Investment Fund and the other new investors to the Magic Leap family. We look forward to having them join us on our journey to build an amazing future,” said Rony Abovitz, Founder, President and CEO of Magic Leap. 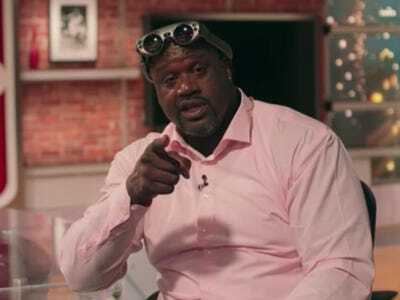 Allen & Company LLC served as exclusive financial advisor to Magic Leap in connection with the transaction. Business Insider’s parent company, Axel Springer, is an investor in Magic Leap through its subsidiary Axel Springer Digital Ventures.